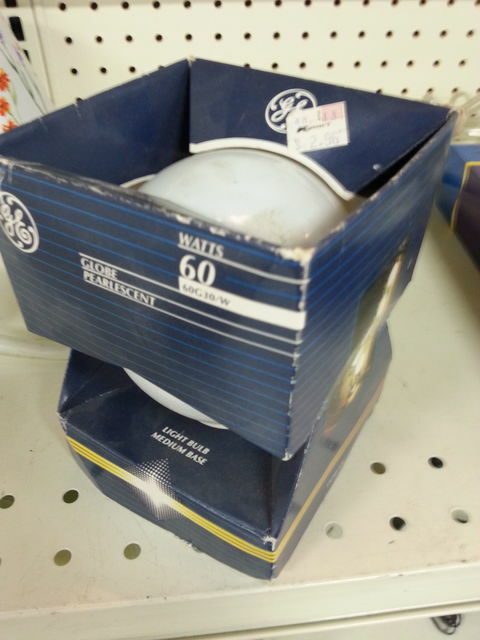 An old 80s packaging GE 60 watt incandescent globe bulb for vanity or decorative use...the original K-Mart price tag of 2.96 is still on it. This was at a thriftstore. Did you get it? Nice. I left it behind....sometimes I grab something irresistible and put it up and buy it too.